There are some things I come across every so often which look really useful for genealogy. There are things I come across which look really useful and also really cool. However, there are some things I see which look cool but I'm really not sure of the benefit they offer. 1) Software to produce 3D charts for the internet from Avanquest. Wow, those charts do look cool, and I'm sure there's a particular type of spatial understanding some people have which will allow those charts to provide them with valuable insights. For the rest of us? Well, until I can print it in 3D and put it in some kind of multi layered Perspex display in my lounge, I'm not sure it's much good to me. 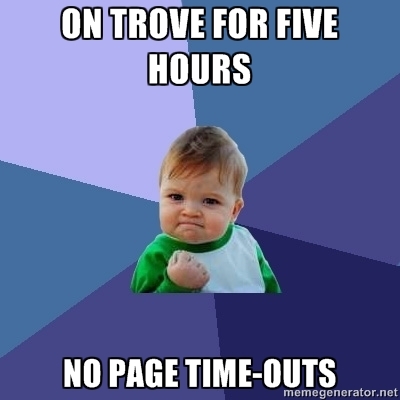 2) Did you know there's a code you can use to insert a search box for Trove into your website or blog? Yes, there is! You can get it ﻿here. Again though, why? Why not just type 'trove.nla.gov.au' in the address bar and search on Trove itself, especially since most people would use the advanced search anyway!